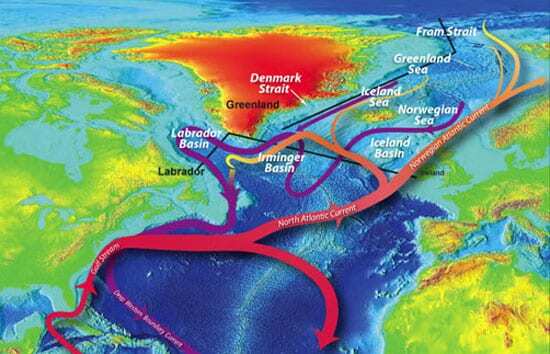 Large and climatically sensitive regions of the North Atlantic Ocean have become less salty since the late 1960s, a trend that could alter global ocean circulation and spur climate changes by the 21st century. Reporting in the June 17 edition of the journal Science, Ruth Curry of Woods Hole Oceanographic Institution and Cecilie Mauritzen of the Norwegian Meteorological Institute analyzed salinity data collected over the past half-century throughout the Greenland, Norwegian, Iceland, Labrador, and Irminger Seas in the North Atlantic. 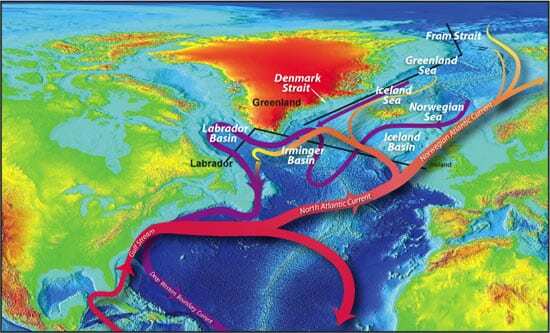 Cold, salty—and therefore relatively dense—waters form in the North Atlantic and drive a global ocean circulation system, often called the ocean conveyor, which plays a big role in regulating Earth’s climate [see slide show]. 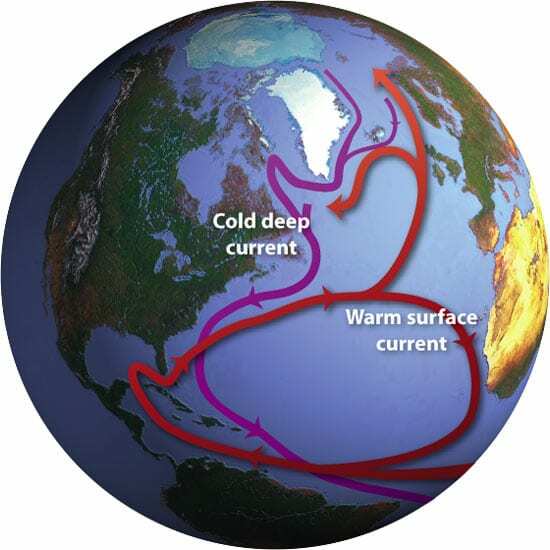 “If you put too much fresh water in the right places in this part of the world, it can actually alter a portion of the ocean circulation that transports heat from the tropics up toward the North Pole,” Curry said. 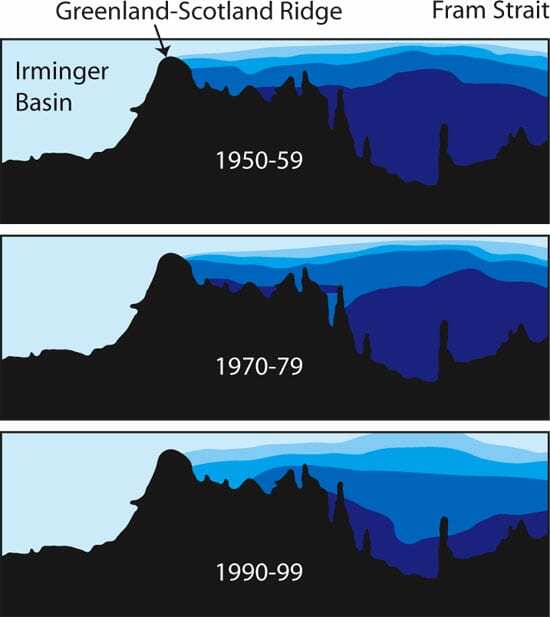 The increased inflow of fresh water comes from increased precipitation and melting glaciers, associated with greenhouse warming. The study was funded by the National Science Foundation, a WHOI Independent Study Award, and the Norwegian Research Council. 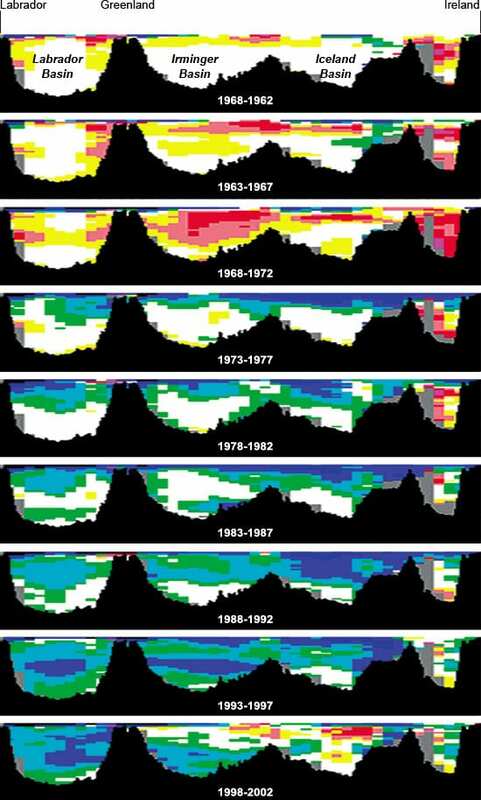 How Much Excess Fresh Water Was Added to the North Atlantic in Recent Decades?